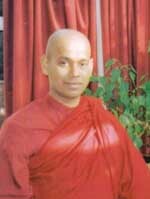 Venerable Akurala Samitha (Bhante Samitha) is the Head of the Dhamma Nikethanaya Buddhist Centre for Education Meditation Psychotherapy & Counselling. 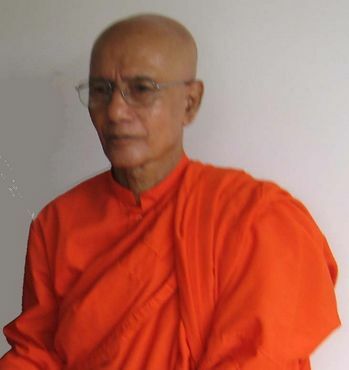 He has been a Buddhist Monk for 25 years in Theravada School of Buddhism (Early Buddhism). He was born in Sri Lanka and graduated with special honours degree (2000) in Eastern and Western Philosophy at University of Peradeniya in Sri Lanka. He also obtained a Masters Degree (2002) in Buddhist Philosophy & Psychotherapy at University of Kelaniya (Colombo) in Sri Lanka. He had been a teacher for over 4 years in Government Sector in Sri Lanka and migrated to The United Kingdom in 2003 accepting an offer from Leeds University to study for his PhD. He became the founder member and The Head of The Dhamma Nikethanaya International Community Centre for Education Meditation Psychotherapy & Counselling in 2004. This organization became a Registered Charity in The United Kingdom in 2006. He is a well-known speaker in Buddhist Philosophy, Self-Esteem and Mental Health promotions. He has been a meditation teacher (master) for over 15 years. He is an associate fellow of The Manchester Academy for Transpersonal Studies (MATS). 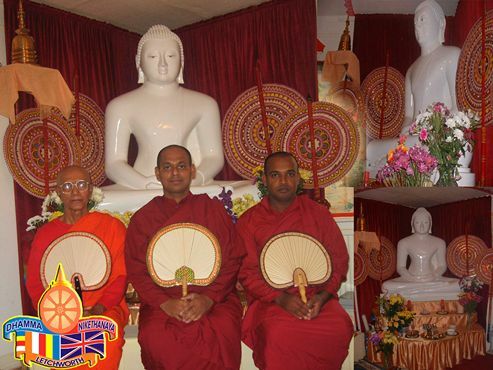 He is the Secretary to the Sri Lankan Sangha (monks) Sabha (Council) of The United Kingdom. He is the Chief Incumbent of Sunandaramaya Ancient Buddhist Temple, Paragahatota in Sri Lanka and also the international coordinator and the director to the Lanka Organisation for Education & Welfare (LOWE) that sponsors very needy and under privileged children for their health, accommodation and education and support rural communities for self-sustained living. He is the patron to the Charity "Reality UK". This charity helps mainly to the disable children in many part of the world particularly in UK and Sri Lanka. He passed three Diplomas with distinctions in Psychotheapy, Counselling & Stress-Management at School of Natural Health Sciences (SNHS) in UK. He practices as a Psychotherapist and a Counsellor since 2006. He is looking forward to publish two books on "Buddhist Medical Science" and "Meditation (Art & Science of Well-Being)". He is reading for a PhD Degree Course in Theraputical Aspects in World Religions at The School of Oriental & African Studies (SOAS), University of London. He is also following a MSc / PG Diploma in Systemic Psychotherapy & Counselling of KCC Foundation at University of Bedfordshire (Luton). He is the Official Buddhist Representative Member of the Standing Advisory Council for Religious Education (SACRE) both at Centre Bedfordshire and Bedfordshire Council. He is a Religious Minister in UK. He is also an active member of the local and national Inter-Faith Organisation. He is a Committee Member of the North Herts Faith Forum (NHFF). He regularly visits RE students in schools. It is a privilege for him to share his experiences as a Buddhist monk for 25 years and a meditation teacher for 15 years besides the academic credentials in Philosophy, Buddhist Philosophy, Psychotherapy, Counselling, Stress Management and Comparative Religions. Therefore, he is sincerely honoured to be standing co-founder member of The Body Mind Well-Being (BMW) Global Action Project aiming to raise the global awareness widely on "DECADE FOR PROMOTION OF MENTAL HEALTH (2010-2020)". 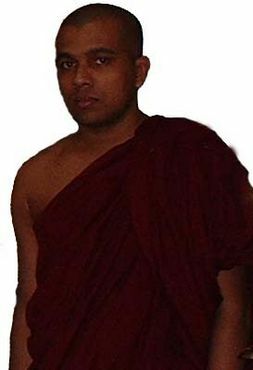 He is a young, devoted, clever and gratifying monk who was capable of bring the hearts and minds of people from many walks of life, irrespective of race, religion, language, colour, gender and belief through his compassion, charming friendliness and talents in delivering the teaching of the Buddha both in English and Sinhalese languages. 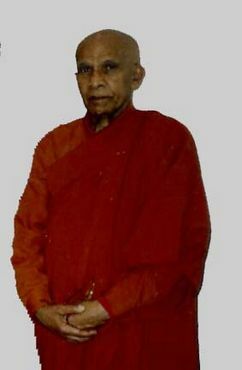 Venerable Waskaduwe Subodhi Thero was the resident monk of the very beginning of the centre. He stayed untill the end of 2005. Venerable Wadumraba Kassapa Thero came to United Kingdom for the first time to Letchworth Dhamma Nikethanaya Buddhist Centre to as the resident monk. 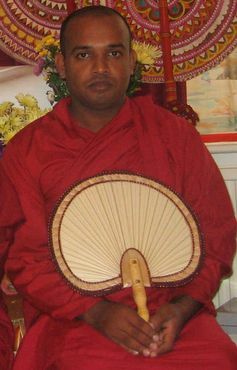 Venerable Ahangama Dhammalanka Thero came first time to United Kingdom to reside as the resident monk of the Letchworth Dhamma Nikethanaya Buddhist Centre. 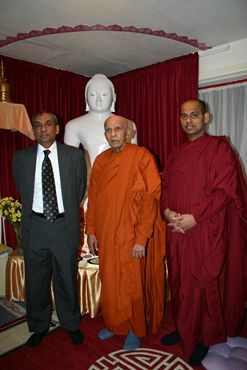 Venerable Rajanganaye Sumedha Thero came for the first time to United Kingdom to reside as the resident monk of the Letchworth Dhamma Nikethanaya Buddhist Centre.